Hello everyone! I hope you all had a nice Thanksgiving celebrating with those you love, and that you can still fit into your pants! 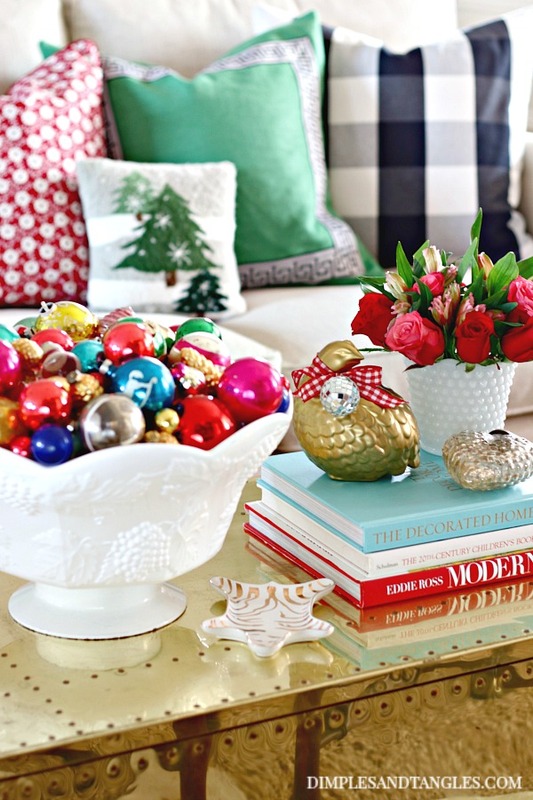 ;) #bringontheleggings Today we get to officially move into sharing Christmas decor without feeling guilty about rushing through Thanksgiving. Yippee! 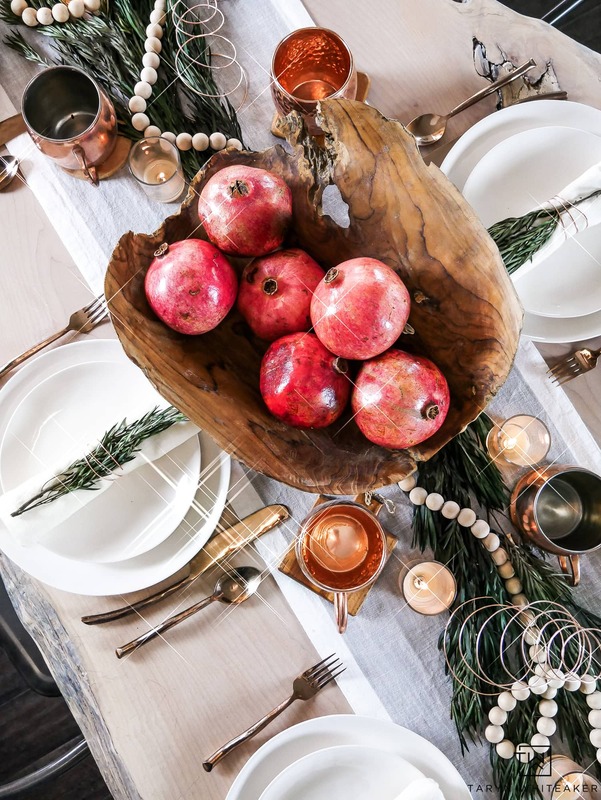 Today I'm sharing my (first) Christmas Tablescape with you, and true to my style there's no shortage of mixed and matched patterns and colors. 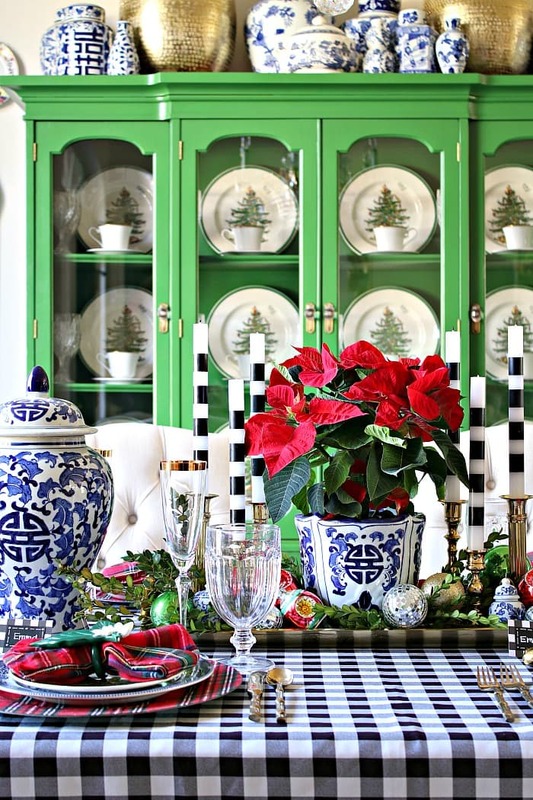 I'm thrilled to be sharing this table as part of the Styled + Set Holiday Entertaining Blog Tour, hosted by Lory from Designthusiasm. 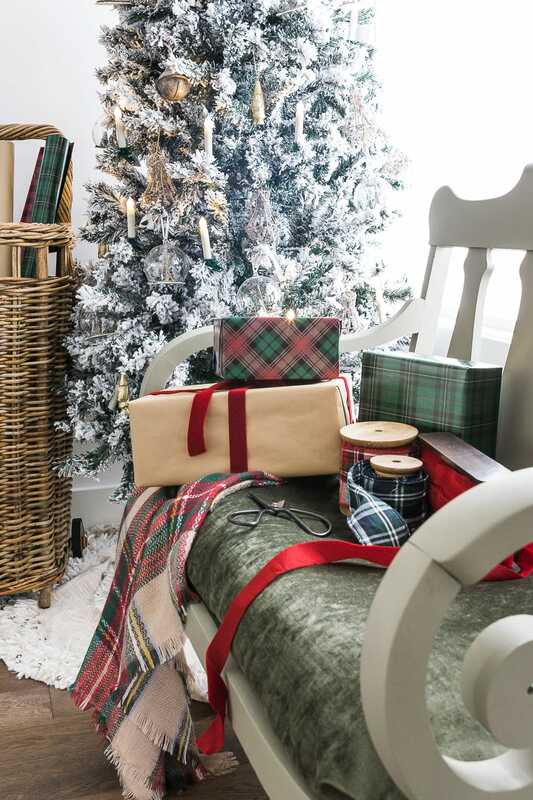 I'm joining an all-star line up of bloggers to share some simple decorating and entertaining ideas for the season with you. If you've come here from Krista at The Happy Housie, welcome! 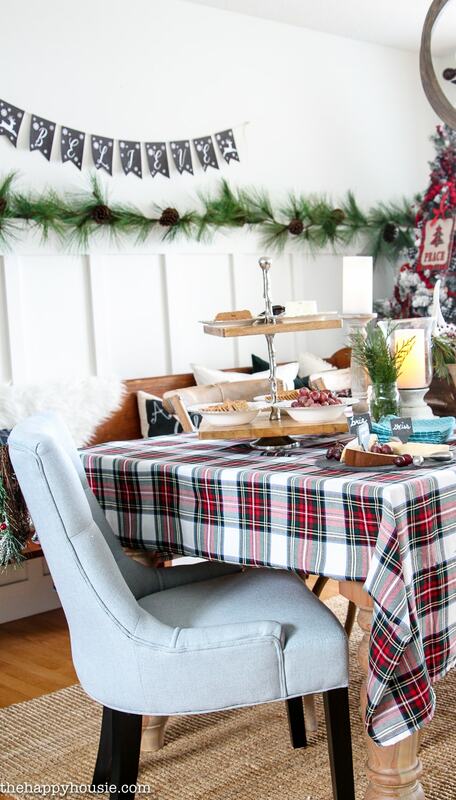 Krista and I were clearly on the same page about incorporating plaid into our Christmas decor! 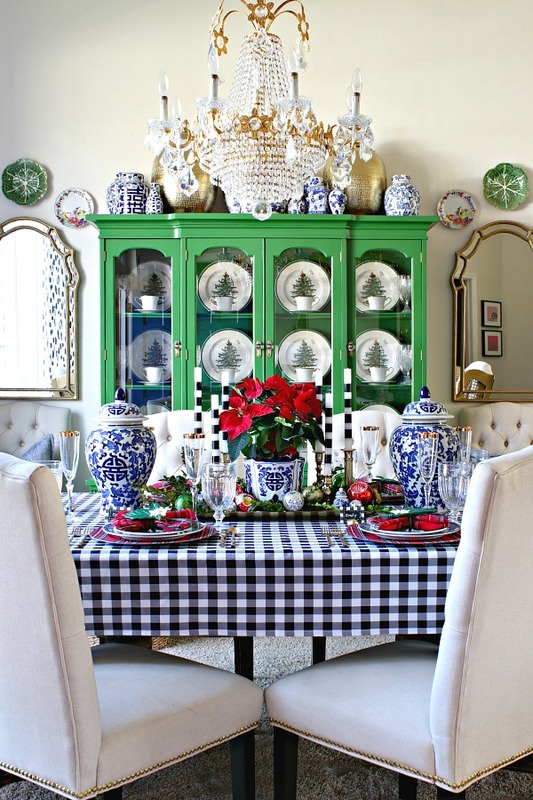 I have a love for setting tables and mixing and matching dishes. I really only have a few different sets but am able to mix them into different combinations and I do have a few separate sets of salad plates that can add to the mix as well. 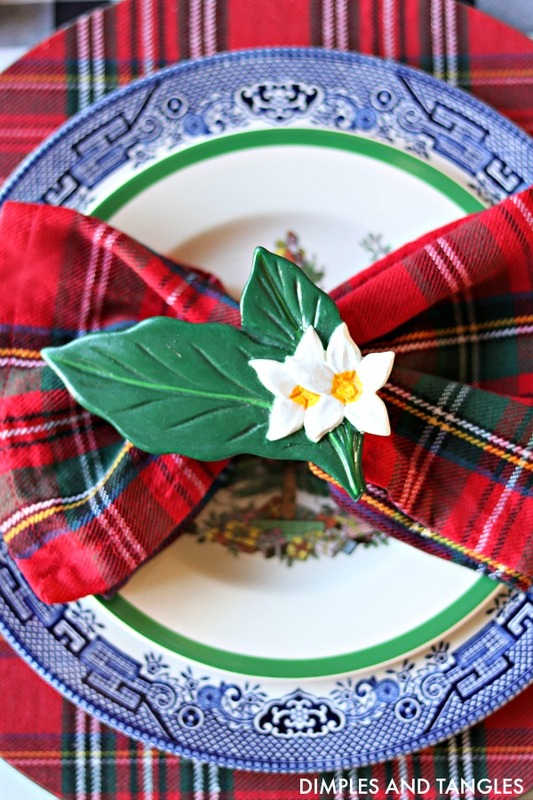 I pretty much have an "anything goes" attitude when mixing and matching colors and patterns, and I put lots of them together on today's table. 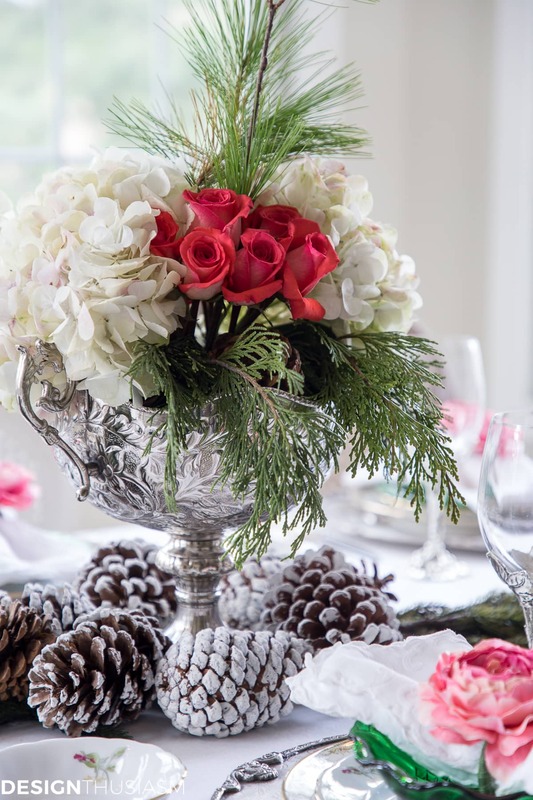 For the centerpiece, I used a long narrow tray and set a potted poinsettia in the middle. 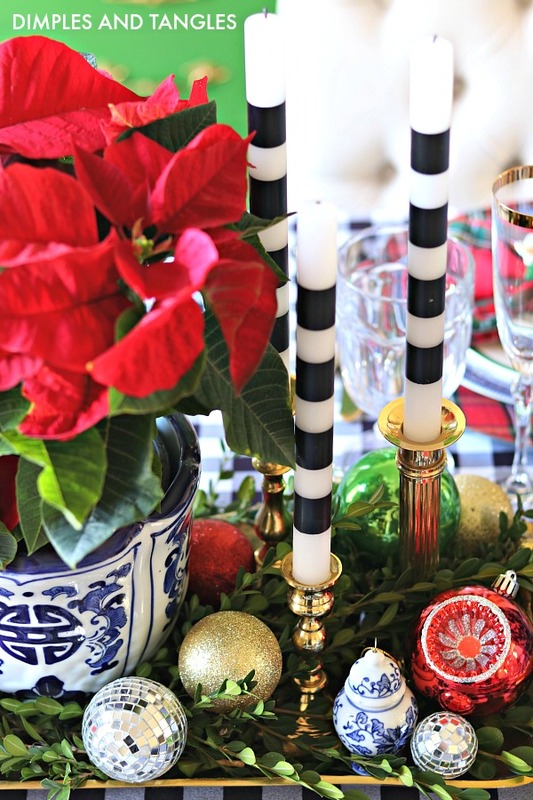 I carried the black and white from the tablecloth into the centerpiece by adding the striped candles, then filled the empty spaces in with boxwood clippings and a few ornaments. 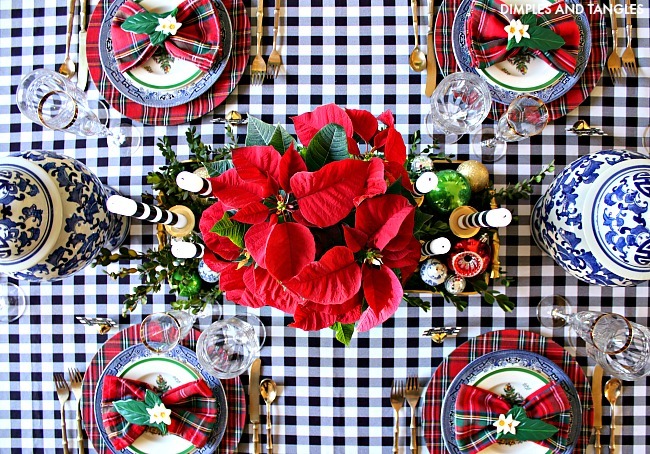 We had friends over for dinner the other night with the table set like this, and it was very easy to lift the entire centerpiece off of the table when needed, then replace it after the meal. 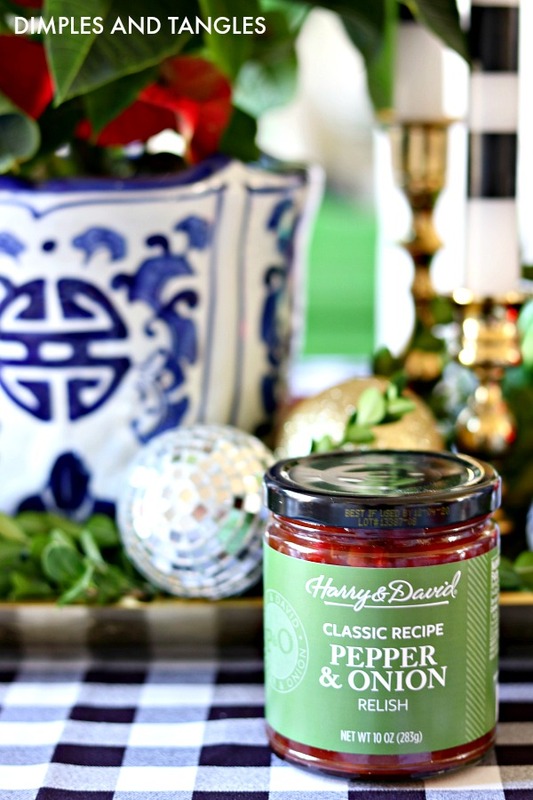 Here's my entertaining tip for the day... make sure to have a yummy appetizer for your guests to munch on if dinner isn't quite ready when they arrive. 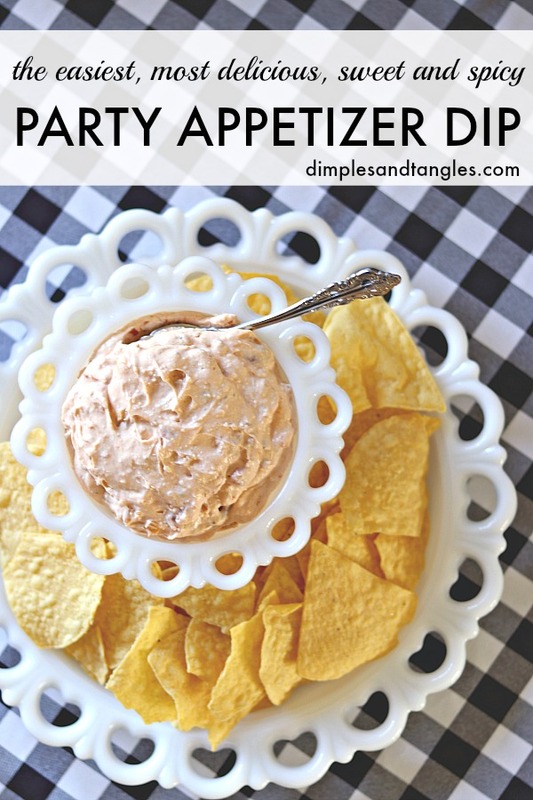 This dip is so scrumptious and takes two ingredients and only seconds to make! It's creamy and savory but sweet with the tiniest bit of spice. Simply beat 1 package of softened cream cheese until creamy, then add the entire jar and continue mixing until well incorporated. 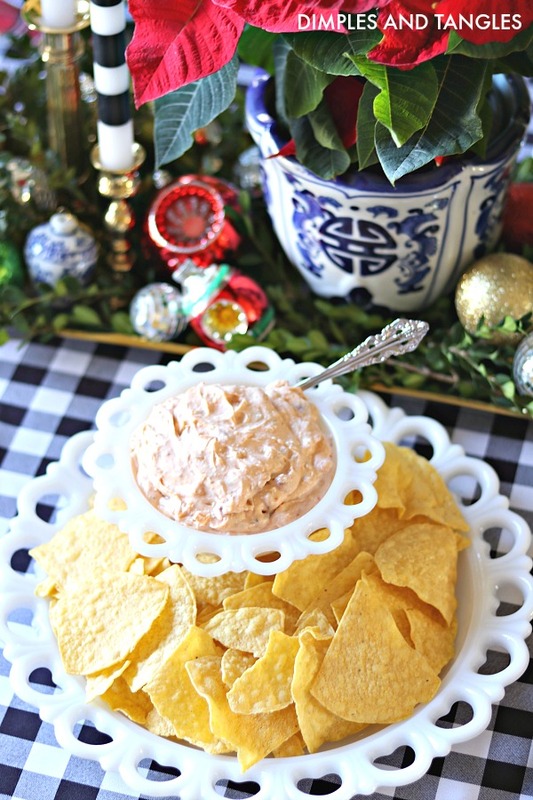 Serve with tortilla chips or wheat thins and watch it disappear! My husband was recently in Guatemala to see the good work that Compassion International is doing to help children around the world (give the gift of helping to sponsor a child this season!). While free to do a bit of sightseeing he picked out these wooden napkin rings for me. Although they fit right in with my Christmas decor, the design is actually the coffee flower and coffee bean. They're lovely and I'll always treasure this souvenir! I made some place cards with a few pieces of scrapbook paper and a white paint pen, then slipped it into a jingle bell. I'm so excited to be kicking off the Christmas season with you today! If this is your first time here and you enjoyed the tour, I'd love for you to subscribe to my blog in the box at the bottom of this post. By subscribing you'll get an e-mail each time there's a new post on Dimples and Tangles (about 2-4 per week). Thanks so much for joining me today, I'd be thrilled for you to follow along! 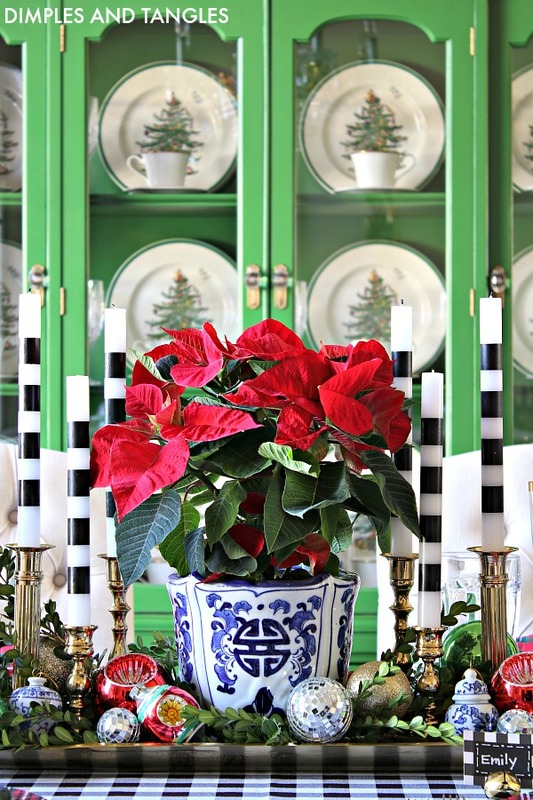 I'm hard at work this week getting the rest of my house all decked out for Christmas, but if you'd like to see last year's Christmas home tour, start here. For the next stop on today's tour, hop over to see Jamie from So Much Better With Age. You'll love her classic, heart warming style. Following are the rest of today's tours as well, and be sure to follow along all week as a new group of tours are posted each day! Love what you've done as always!! Absolutely gorgeous. your tables are always amazing. Thank you Marty, I have fun doing them! Super gorgeous! Getting a rectangular table to do stuff like this is on my wish list for 2019. :) Perfection all around. 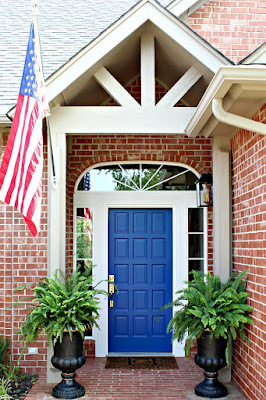 This is so pretty, Jennifer! And how sweet the napkin holders your husband brought back for you! Gorgeous! Great ideas, as always. Still working on my "stash" of table goodies, but hopefully one day I will get there! 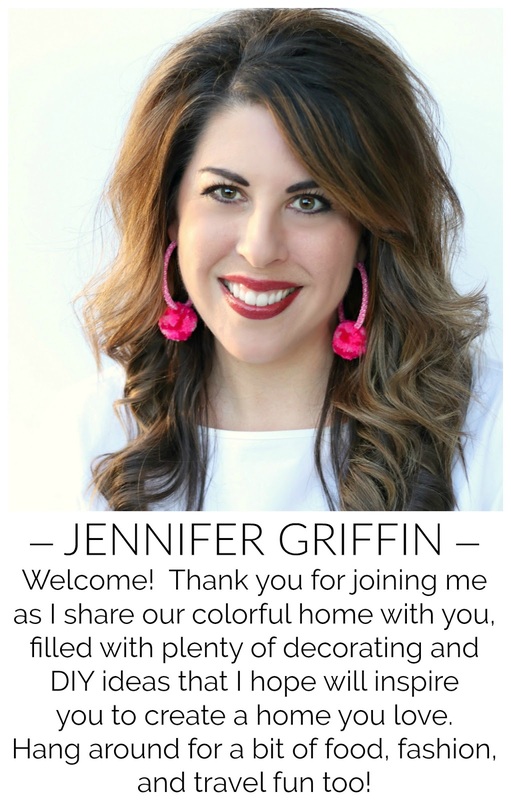 Jennifer - I always love reading your blog/IG! So colorful and fun. 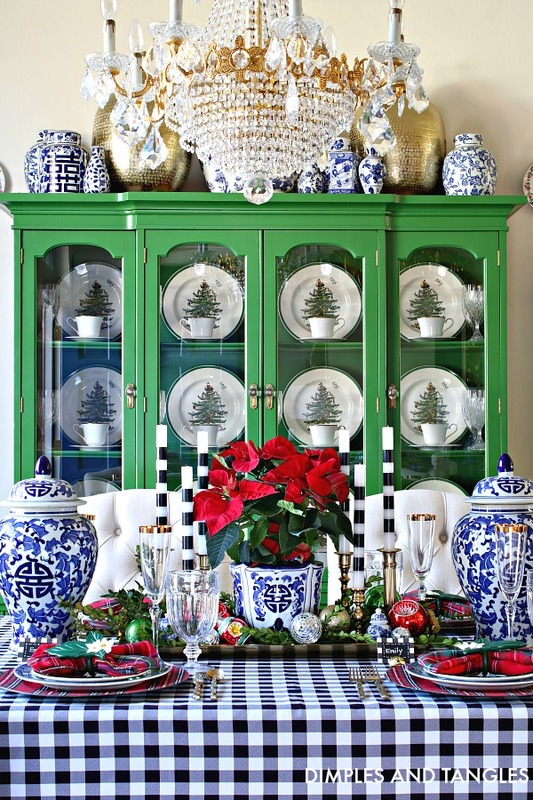 I have been in a quandary about my dining room for Christmas, and this may just be exactly what I needed to pull everything together! Thanks for making my Monday. stunning. love the gingham. you have brought out my inner gingham fiend! thank you. Love it! 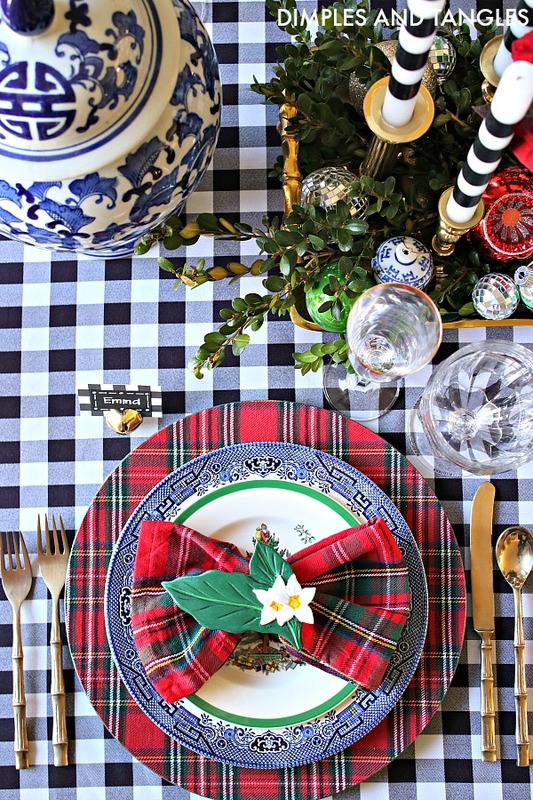 Working on my Christmas tablescape today and I’m using some plaid and gingham too! ❤️ one of my favorite combos!! 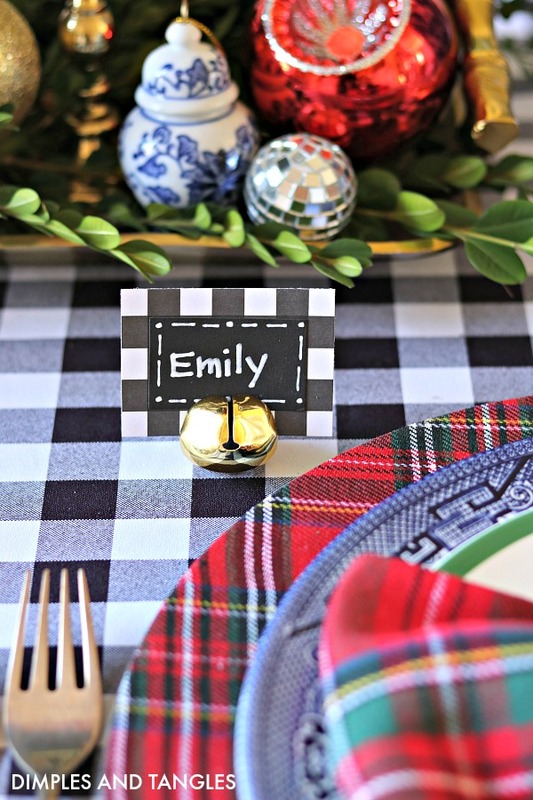 Love how you used the jingle bells for place card holders! So smart! 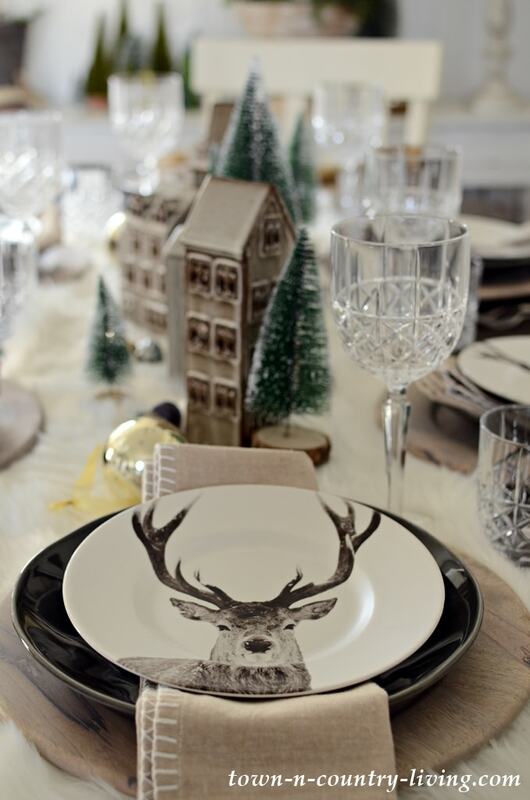 Your tablescapes inspire me every time. The colors, textures - SO YUMMY! I love that you try to use what you already have invested in, rather than buying trendy new items. 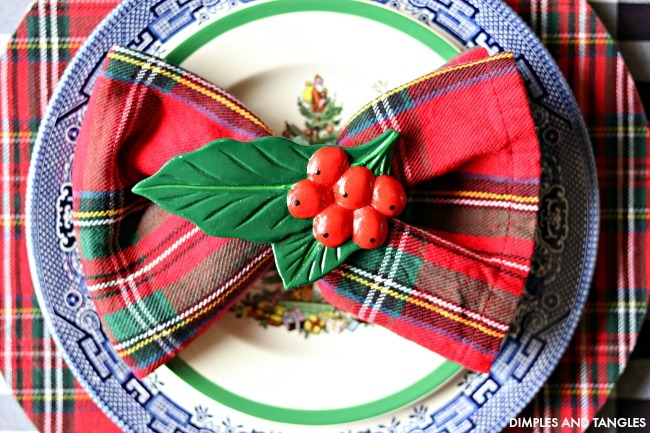 And the jingle bell used to hold the place card - fantastic. Thank you for taking the time to design, create and share.